Hi friends! Happy Saturday! Thanks for stopping by our blog today! 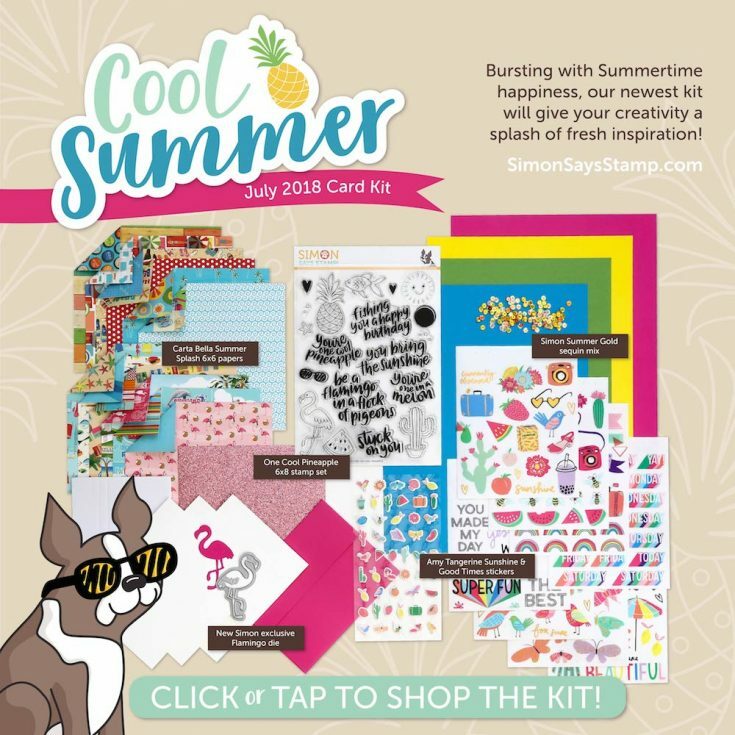 In case you missed it, our BRAND NEW July 2018 “Cool Summer” card kit was revealed this past Thursday, June 14th! It’s bursting with bright and cheery products to start your Summer off right! 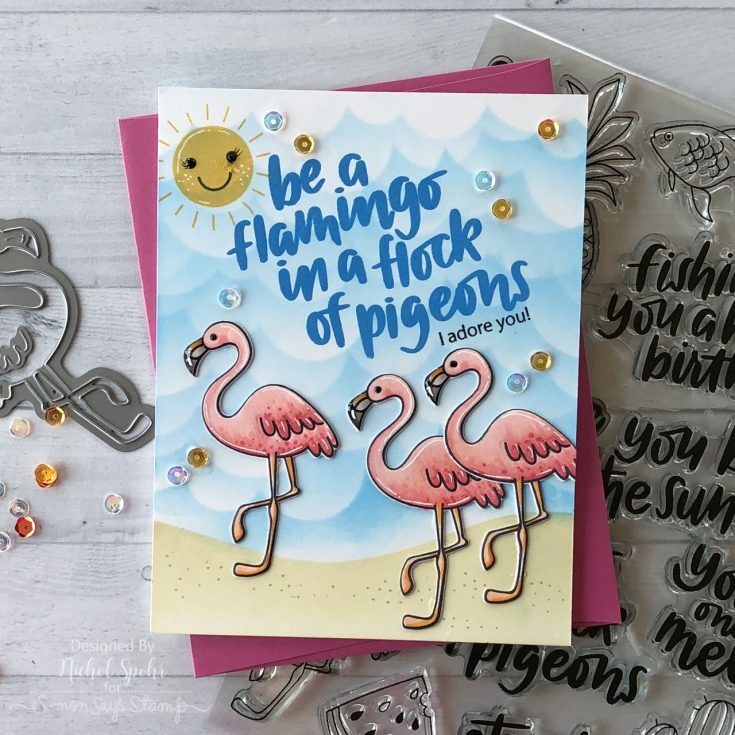 As always, the fabulous Nichol Spohr has made some inspiration using the new kit showcasing our One Cool Pineapple stamp set and Flamingo die as well as our Summer Gold sequins. Be sure to watch the video and enjoy! Thanks for stopping by and thanks to Nichol for being our guest! This is such a fun summer time card! What a cute kit this month. 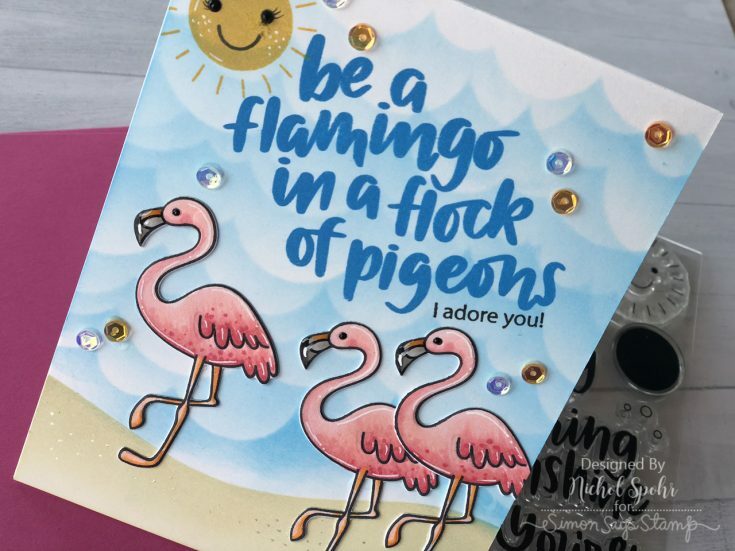 Wonderful, fun card – I love all the details in the flamingos. These flamingos are really awesome !! Great work Nichol, love what you do with stencils! Thank you. Really great release. I need to expand my stamp stash beyond florals and this set would be perfect. Love those flamingos! You can’t help but smile when you see these flamingo’s! So fun! Such a fun text to go with the cheerfull flamingo’s! Very cute and summery card! What a happy card! The sunshine, flamingos, font and colors are all so cheerful for a summertime card! Really cute card! Love the flamingoes and the fun sentiment! So fun! Love the flamingos and the fabulous sentiment. Great coloring and clouds. Very cute flamingo card and cute sentiment. Thanks for sharing. Super fun card. I love flamingos! Awesome card! Perfect for Summer! Such a fun and summery card. Ohhh what a fun and colourful card kit! Adorable card, Nichol! This is adorable. :) Love the eyelashes on the sun! i LOVE THE STENCILED BACKGROUND SHE CREATED.